Purple Giraffe - Sales and marketing - what's the difference when talking wine? In the wine industry at large, and certainly in Australia, there has long been a misconception that sales and marketing are one in the same role. The fact is that while marketing and sales may to some feel like the same thing, the reality is that they are two different disciplines, requiring different and specialised skill sets, and must be treated and planned for within a wine business as separate strategies that compliment and build wins for each other. A complete marketing mix must include a comprehensive sales strategy, as well as a number of other elements within its approach, to be effective in this ever increasingly competitive wine industry. Sales, and a good sales strategy, is a single part of a this marketing mix, and should leverage from other marketing efforts undertaken within the whole to get the results expected. However it should never be the sole focus of the marketing team. 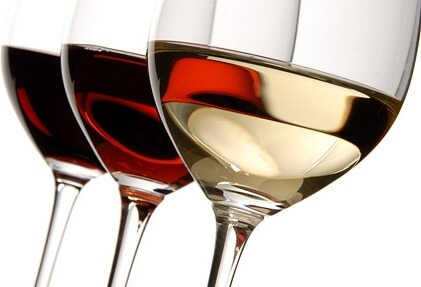 A wine marketer’s role is to focus on the overall picture of the wine brand and business. This includes but is not limited to the following marketing elements: branding, packaging, pricing, promotional and point of sale activity, public relations, digital media, social media, channels of distribution and influencer and ambassador activity. Each of these marketing elements, including sales activity, should be integrated and consistent to achieve a coordinated approach leading a consumer down a funnel ultimately to a sale. Marketing, and the sales strategy within the marketing mix, both have very important roles to play in a modern day wine industry. To achieve success they must work together in a coordinated approach with dynamism and flexibility. It is important to understand that they have different and defined functions with different deliverables. Marketing focuses on a holistic strategy with multiple and coordinated aspects to take the business forward. Sales is one part of the marketing strategy and focuses on the sale for the short term. Marketing identifies potential customers and works towards building a funnel and a journey to move the customer closer to the sales position and decision. The sales strategy then specifically influences the customer to buy what the company produces. The total marketing strategy and its mix of elements will tirelessly work towards opening the sales avenue. The sales strategy singularly focuses on closing the sale. A clever marketing strategy will have a targeted sales approach within it. On the flip side, a successful sales strategy will be supported by a multi-dimensional marketing mix. If a wine brand does both well and in a integrated fashion the dollars will flow both in the short and the long term. We can help you with your wineries marketing mix and strategy. Contact us today!